One of Manta's earliest models in the late 1980s was the Spoiler 1100. With a shorter length of 40.5", it was ideal for groms looking for a high tech board. 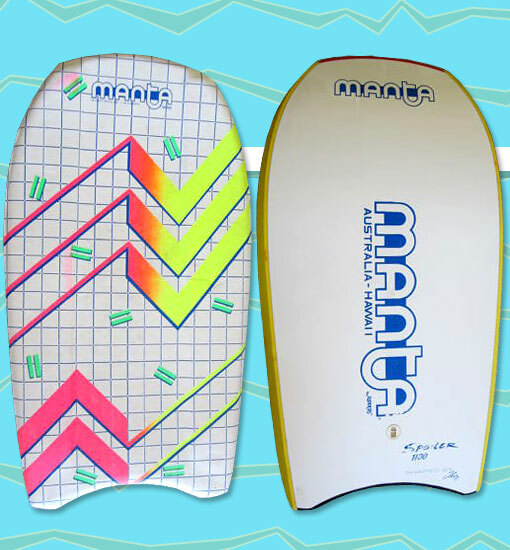 Like all Mantas at the time, the Spoiler 1100 featured a polypropylene core, Sure-Grip EVA rails, a vinyl deck, a stiff PVC bottom, and a recessed leash plug.